From fine dining with waterfront views to casual eateries dishing up mind-blowing international cuisine, Noosa takes its food very seriously. But the thing is, there’s so many incredible eateries that it can get a little overwhelming. So, we’ve done the hard work for you and narrowed it down to our picks of the best restaurants in Noosa. Cali-Mexican inspired restaurant Paradise Arcade will have you feeling like you’ve taken a mini vacay to the sunny beaches of Mexico. Serving amazing share plates, authentic tacos, tostadas, burritos, tacos and bowls, these guys are also renowned to make one of the best margaritas on the Coast. 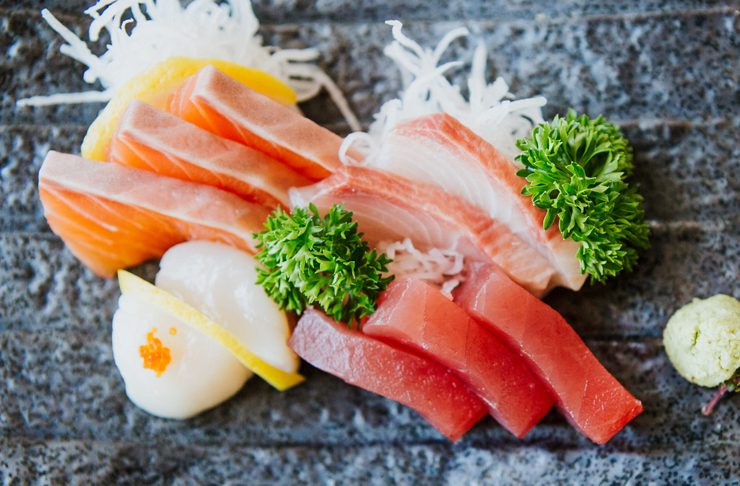 The culinary masterminds at Wasabi Restaurant and Bar have somehow figured out how to utilise fresh local produce to produce traditional and authentic Japanese cuisine. Whether you consider yourself to be a food connoisseur, or are just a sucker for some delicious Japanese cuisine, then you need to need to pay this award-winning, waterfront restaurant a visit. If you’re after an effortlessly cool and relaxed dining setting, some truly delicious Asian-inspired eats and delicious cocktails, then Light Years should be your next stop. Their menu is designed to be shared, so you can sample a lot of the goods in one sitting. And when it comes to the goods, well, you’ll be spoiled for choice. Think bao buns and dumplings, crispy pork belly, twice-cooked crispy skin chicken, and kaffir lime and coconut panna cotta. If pizza is your thing, then look no further than El Capitano, Noosa’s coolest pizza joint. Mosey on in with your mates after a day at the beach and prepare yourself for mouthwatering plates of handcrafted meats and mozzarella, 72-hour fermented sourdough pizzas and all the Aperol spritz your heart desires. Top it all off with a spiced mango daquiri and some blood orange gelato for the ultimate treat. Relaxed beachside dining at its best, Bistro C is all about good food, good drinks and good times. Open for breakfast, lunch and dinner, the folks at Bistro C are serving up culinary delights at all hours of the day. From cauliflower, pea and ricotta cake, to caramelised pork belly with coconut and lychee salad, Bistro C’s menu is as versatile as it is delicious. Oh, and their cocktails are nothing short of incredible. Give the salted caramel colada a try. You’ll never be the same again. 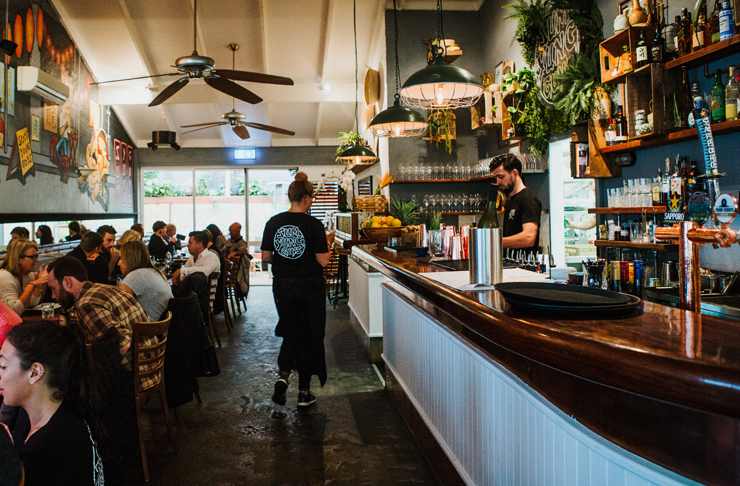 Nestled down the Noosa National Park end of Hastings Street, Locale is not to be missed. Pop in for a Locale Passion cocktail, and we guarantee you’ll be staying through dinner, dessert, and an espresso nightcap. Serving authentic Italian dishes, including wood-fire pizzas and a baked pumpkin, sweet potato and buffalo ricotta gnocchi that will change your life, this sophisticated restaurant feels like a hidden slice of Italy in a bustling resort town. The lads at Sum Yung Guys are extremely passionate about serving up Asian cuisine, and it shows through droolworthy menu. Featuring the likes of short ribs, Mooloolaba prawn toast, BBQ Malay chicken and aromatic curries, be sure to cap off your dining experience with the vanilla ice cream with pineapple caramel. You'll be tricking your tastebuds into thinking you’re on a resort holiday in Thailand with the first few bites. For a long, lazy lunch overlooking Noosa Main Beach, then you can't go past Sails. Combining laid-back coastal cool with just the right amount of class and elegance, Sails takes beachside dining up a notch. 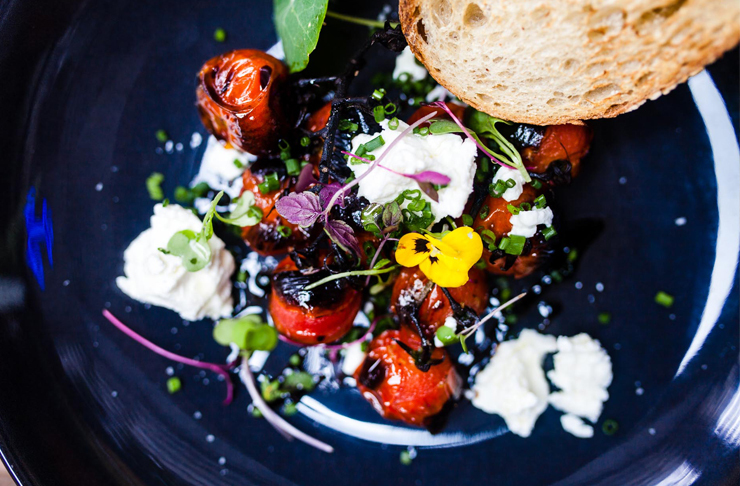 With a menu full of fresh local produce and a decadent wine list that has won three Australian Wine List of the Year awards, you’re guaranteed to be spoiled for choice. If you’ve never been to the Noosa Waterfront Restaurant, then you really need to schedule it in. Tucked away from the busyness of Hastings Street, this gem offers views of Noosa River, delicious Italian-inspired cuisine and a dining experience that is both casual and luxurious. They make their own pasta in-house and also offer gluten-free pastas and pizza bases. The folks at Sushi Yah Man may play reggae, but they are very serious about their Japanese food. Bringing their favourite food and music together into the one place has helped them create the ultimate relaxed, fun and delicious foodie experience. An authentic Japanese Izakaya restaurant that doubles as a sushi bar, Sushi Yah Man is the ultimate destination for anyone who loves their Japanese food. Relaxed, riverside dining at its best, Thomas Corner Eatery is popular with both visiting and local food lovers. Their menu is focused around fresh, local and seasonal produce, so the food is always delicious. Stop in for breakfast or lunch, and treat yourself to some truly amazing eats while soaking up the stunning views of the Noosa River. Just another day in paradise. If you love Italian, then pay local favourite Bombetta a visit. Offering traditional Italian for both takeaway and dine-in, it’s not hard to see why everyone raves about this Noosa Junction hotspot. The only thing bigger than their pizzas is their extensive wine list, which features some Italian drops that pair perfectly with their delicious Italian eats. Be sure to leave room to try their Aurura frozen desserts for a sweet treat that will blow your mind. 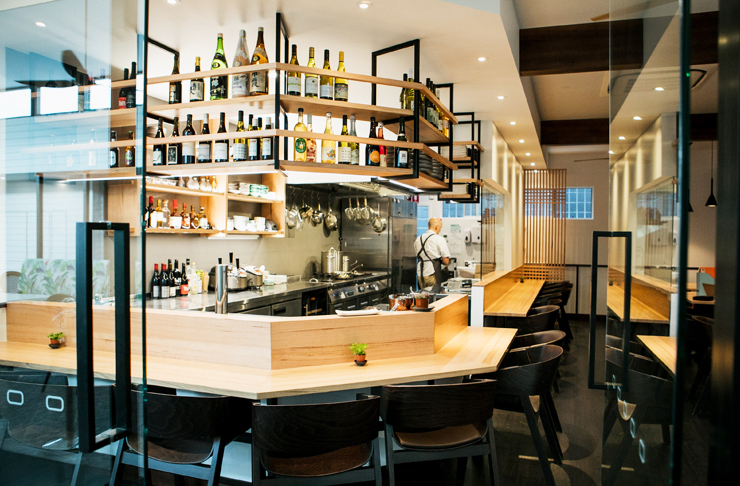 With an open kitchen, a night at Sumi Open Kitchen will be as tasty as it is entertaining. On offer is the ‘Trust the Chef’ menu, which is either four or six courses of delicious Japanese-inspired cuisine. So, all you have to do is sit back, relax and watch the chefs do what they do best while you wait for your culinary surprise. If you consider yourself a master of the art of BBQing, or you just love a good grill, then Wood Fire Grill should be on your hitlist. Bring along your beefiest friends and a big appetite, because this place doesn’t skimp on quantity (or quality). If you’re feeling up to it, order The Feast and enjoy an array of the chefs best smoked and grilled goods, as well as some mouthwatering desserts. Suckers for Yum Cha probably already know about Embassy XO. Serving up some of the best Yum Cha and modern Asian cuisine on the Coast, it’s a local favourite. With a la carte, banquet, yum cha and bar menus, there’s all kinds of moreish eats up for grabs. It also doubles as a wine bar, so lovers of a good drop can get their fix too. Winning. Want to do more than dine while you're at the top end of the Coast? Here's the best things to do in Noosa.